Need a gift or present? 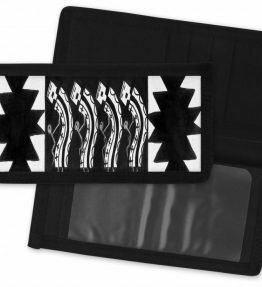 This wallet would make a unique Navajo art inspired gift. Buy one today for the special someone. The wallet is a tri-fold wallet. 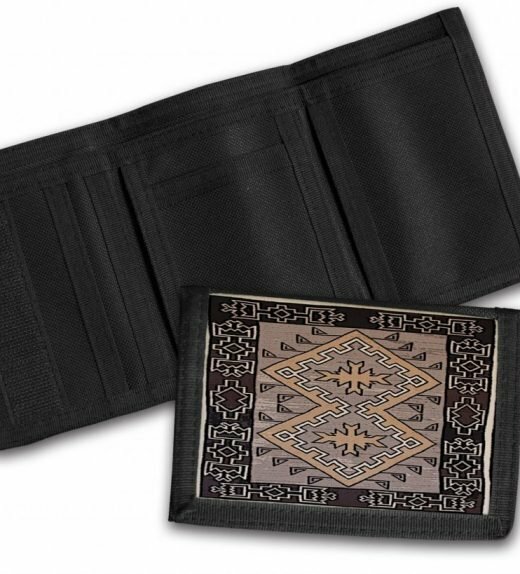 The wallet has a image imprinted with the 1920’s Navajo Klagetoh Rug. The wallet can be used for bills. Pockets are available for cards. The wallet folds in three sections. The wallet is secured with velcro strap. 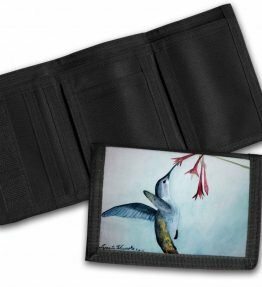 The wallet is made from black canvas material. 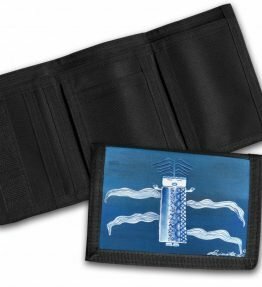 The wallet measures 4.5 inches by 3.1 inches.